Standard portable meters with no frills! Milwaukee’s low cost durable meters for quick and reliable measurements. Milwaukee’s Standard meters are manufactured to be easy to use, practical and accurate. Ideal for the classroom, laboratory or for general field use. MW500 performs ORP measurements with a range of ±1000 mV. 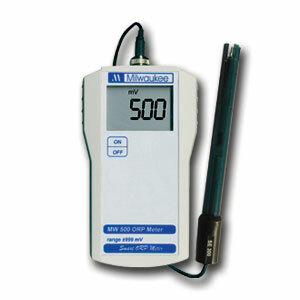 The meter is supplied with ORP electrode and calibration solutions.